At a time when participation in formal politics and membership to political parties seems to be in decline, support for democratic principles such as openness, transparency, and inclusion is on the rise virtually everywhere. Over the years, progressive cities have been experimenting with a number of innovative governance frameworks such as co-design, open data and participatory budgeting to open decision-making processes to people’s input. Whether citizens are moved by personal aspirations, scarcity concerns or a progressive vision for their city, inclusive, long-term thinking has proven to be key to better understand the evolving needs of places and the intricacies of deliberation. 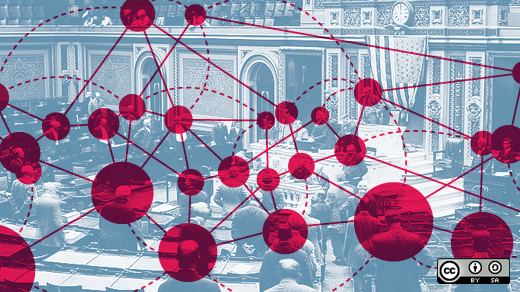 The ever-growing availability of web-based tools and platforms is also radically transforming the way we exchange information and think of civic engagement. This is particularly evident in the viral growth of practices like crowdmapping and IMMBY, two trends that are creating a new language around the culture of everyday democracy. Mapping (and sometimes even unmapping) allows citizens to creatively re-imagine and re-arrange the city, and articulate not just what is real but also what is desired. Projects like Urban Forest Map, Food Desert Locator, Urban Mirror, This Is Not An Ad, the Christchurch Neighbours Forum maps, and Landshare are doubling as tools to celebrate belonging, respond to crises, expose injustice, envision a more sustainable future, and engage in playful brainstorming with others. Through mapping, global citizens can chart, document, explore, share and imagine the democratic potential of places. Which is exactly the spirit behind Idea Map, an online platform launched by the municipality of Copenhagen to democratize the political process of developing a new urban plan for its inner city. Candy Chang’s ingenious I Wish This Was serves a similar purpose, that of giving residents a voice, this time with fill-in-the-blanks stickers to be placed directly on site by guerrilla urbanites. 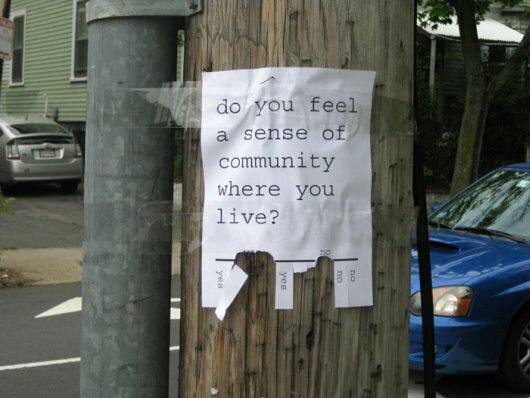 The result is enhanced community expressiveness, leading to increasingly creative place-based initiatives that support the hard and soft infrastructure of a city and are vital in creating networks of urban solidarity that help ensure our basic public services and civil rights are safeguarded. MindLab: MindLab was established in 2002 as an in-house innovation hub for the Ministry of Economic and Business Affairs in Denmark. Now working with two additional ministries, MindLab’s strategy is to act as an in-between body that creates a neutral space in which radical innovation can take place. The organization’s main function is to bring together different cultures in the ministries, as well as encourage civil servants to use their creative competencies to develop policy initiatives that meet the needs of citizens or businesses in participatory ways. WIMPS: WIMPS stands for “Where Is My Public Servant?” and is a youth-led platform for Northern Ireland. The site’s main feature is a database of public representatives that serve from the local council to European Parliament level. Young people use the database to connect with their representatives, track their performance, share input, and access advice on how to take action on community issues that affect them. In turn, WIMPS volunteers provide information on social change issues of interest to young voters. OhSoWe: OhSoWe is a new initiative that connects the personal and neighbourhood levels by encouraging the exchange of resources and know-how between neighbours. Inspired by the values behind the sharing economy, OhSoWe promotes the spread of ‘neighboursteads’, groups of active residents that organize socially-minded activities to build resilience against outside forces and consistently increase neighbour self-reliance and interdependence. You can follow their newly-launched blog series on Shareable. Participatory Chinatown: Participatory Chinatown is a 3-D immersive game where players assume the role of one of 15 virtual residents and work toward their assigned quest – finding a job, housing, or place to socialize. The experience is designed to help individuals understand how barriers to participation such as language skills and income level might affect a resident’s engagement with their city. The game shares user comments and decisions with real life decision-makers, who will incorporate them into the master planning process for Boston’s Chinatown. If the resilience of a place depends upon the widespread participation of its people, then agility is key to design a framework that empowers individuals to take control over their lives. An agile governance structure is one capable of fast decision-making, flexible resource allocation, and open policy-making. More importantly, it is a framework that values and encourages creativity, increasing the ability of ‘non-specialized’ people to respond to local issues in inclusive and imaginative ways. These examples clearly demonstrate that creative citizens are already making their voices heard. Now the question is: Are cities ready to hear what they have to say? How do you think the rise of new governance models can be embedded into the everyday lives of cities? Have you ever mapped resources in your community, participated in a project with your neighbours, or co-designed a service with public officials? Chiara works at the intersection of interdisciplinary research, social innovation and urban sustainability. Her latest project, The Enabling City, is based on graduate research conducted at York University’s Faculty of Environmental Studies in Toronto, Canada. To learn more about the project, visit the website or follow The Enabling City on Twitter.